Michelle Randolph Photos, News, and Videos | Just Jared Jr.
FYI: Gregg is wearing an AllSaints shirt. Cassie is wearing an AllSaints bandana. 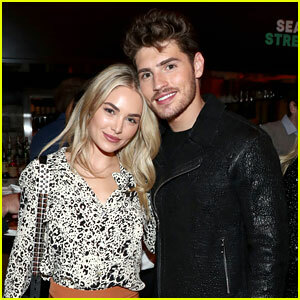 Gregg Sulkin and his girlfriend Michelle Randolph keep close at the 2018 Hulu Holiday Party! 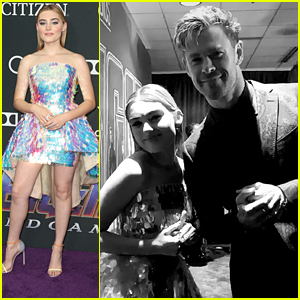 The Runaways actor and the House of the Witch actress stepped out for the event held at Cecconi’s Restaurant on Friday (November 16) in Los Angeles. Gregg looked sharp in an all-black ensemble, while Michelle kept it chic in a black and white printed blouse with burnt orange pants and white shoes. 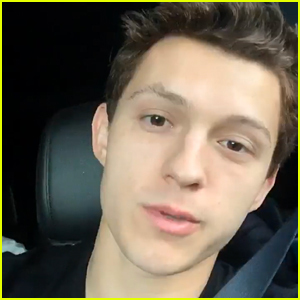 They hung out with his Runaways co-stars Ariela Barer and Allegra Acosta while inside.